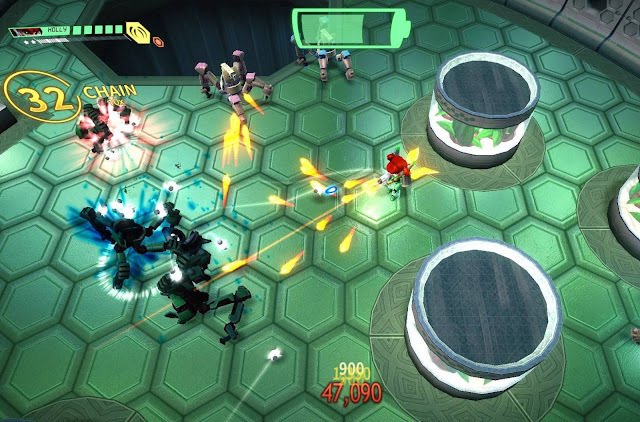 Assault Android Cactus is on Xbox One now! One of our favourite Aussie games in recent years has been Assault Android Cactus, a frenetic and high-octane dual stick shooter that really does its arcade game heritage justice. The game's been available on other platforms for quite some time, and now it's also available on Xbox One. Related reading: Our review of the PlayStation 4 release. Not only that, but it also gets a boost from Microsoft's shiny new Xbox One X console. If you've got this most powerful console of all time thing, you can play the ultimate version of Assault Android Cactus: 4K resolution at a blistering 60fps. With 25 levels and five bosses, and a solid difficulty curve, this is one little indie game that's going to last you a fair while. So be sure to support the local industry and grab this one... and in the meantime we'll go back to patiently twiddling our thumbs and waiting for a sequel. I love ELEX, I really do. The game's a mess in a lot of ways, but it has a soul and charm that more than compensates for it... to the point that I've played around 60 hours so far, and still happily ploughing through more. But, as with any B-grade game, the overall response to it has been middling to poor. Related reading: Matt's review of ELEX. Most game developers and publishers release accolade trailers, that show off what glowing reviews their game has been attracting. The PR team behind ELEX, however, decided to have some fun with its B-grade sensibilities, and created this really entertaining little "good, ugly and just plain weird" quote stream. It's good to see a publisher take criticism in stride and be comfortable having a laugh at itself. And I'm sure everyone involved in ELEX are chuffed that there are people that found the game really resonated with them. Give it a go! Once people are done with Mario Odyssey, they'll naturally be looking for where their next 3D platformer fix will come from. BadLand is hoping to be the one to feed the fix when it releases Ginger: Beyond the Crystal later this month. The game's already available on PlayStation 4, where it holds a Metacritic rating of a respectable enough 61. That's no Mario Odyssey, of course, but there are worse games that you could play on the console. There will be a physical version of the game released next year, too, so people who like their boxes might want to hold off. For the rest of us, here's a summary of what to expect when the game lands on November 17: All-time Nintendo users, the first gamers that experienced a "new dimension" in the platformer genre thanks to Super Mario 64, will be more than pleased to see Ginger getting launched on Switch, but they won't be the only ones that would enjoy the title created by Drakhar. Ginger: Beyond The Crystal it's an adventure game and a 3D platformer, in which the player will have to rebuild a magical world devastated by the explosion of a crystal. Ginger will have to find the damaged crystals and purify them thru the goddess. But he's not the only survivor, he'll have to find the rest of inhabitants and rescue them from other worlds, where they're kidnapped. Well... sorta. 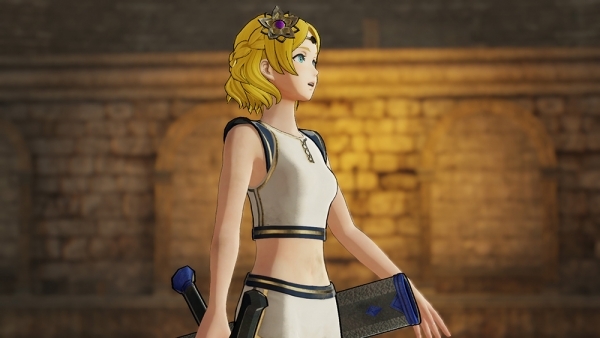 There's an update to Fire Emblem Warriors coming on November 16 which brings with it quite a lot of stuff - including a new history map so fans have something new to play on, new costumes for the two main characters, and new weapon for them to use. This new weapon has the ability to break another character's armour... and if that happens they're reduced to their underthings. Don't worry, it's nothing Nintendo wouldn't approve of, but it's an... interesting mechanic nonetheless. Currently it only applies to the two main characters. No idea when Lyn will be able to lose that dress yet. More seriously, Hyrule Warriors was notable for being a game that Koei really supported post launch, to the point that the finalised game looked nothing like the original release. People concerned for the amount of stuff in Fire Emblem Warriors should take updates like this as a good sign that there's so much more to the game... even beyond what has been announced in the DLC.